Havdalah is a prayer said at the end of Shabbat differentiating between the holy day of Sabbath and the rest of the week. The blessings of Havdala are said with a cup of wine or grape juice. A multi-wicked candle is lit and sweet smelling cloves or leaves are used. 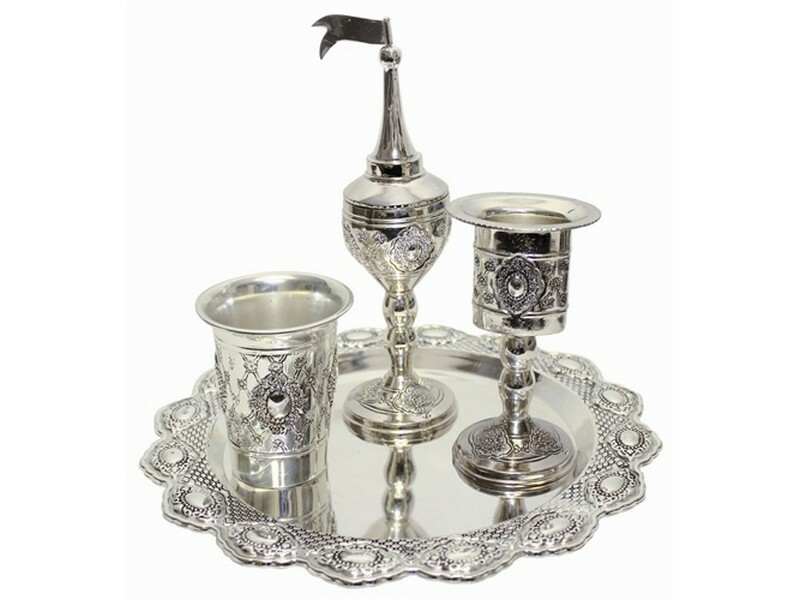 This silver plated havdalah set includes all the items needed - a cup, candle and besomim Spice Box holder along with a round matching plate. Ornately decorated, this havdala set will surely take center stage during the Havdalah ceremony.